Dr. Tajik knows that nothing says as much about a dentist’s abilities as his or her results. 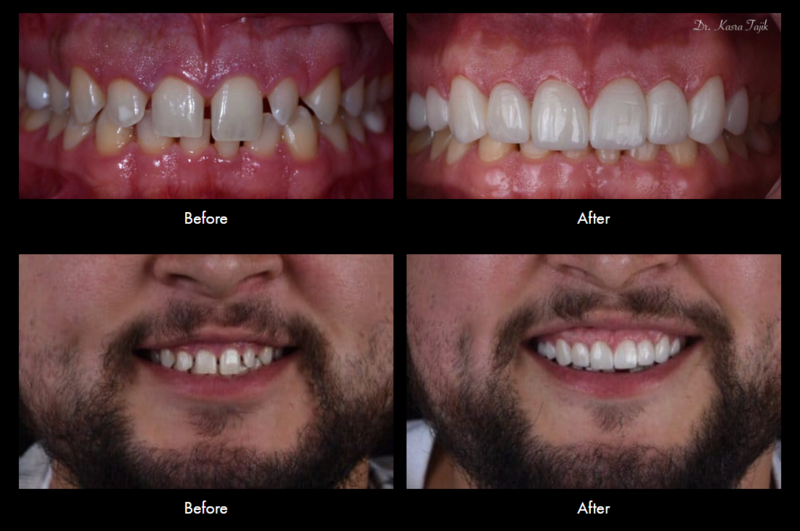 You can see the results of Dr. Tajik’s work here on the gallery page. Click an image to enlarge. Replacement of old mercury ased silver filling with tooth colored compoiste filling. Gum lifting to expose more if your own natural tooth using a diode laser. A painless procedure that can be done in less than 30 min. 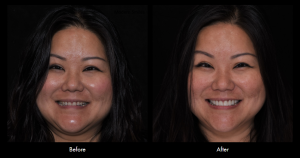 Before and immediately post treatment pictures of laser gum recontouring. 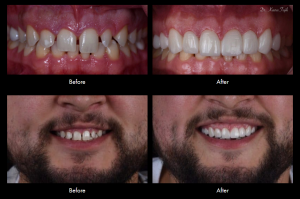 Fractured front teeth restored with a veneer and a porcelain crown. 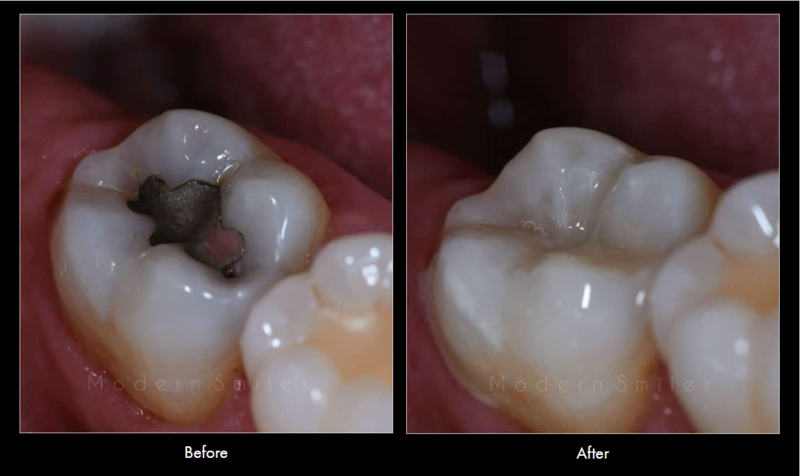 Full mouth rehabilitation using aesthetic zirconia (metal free) crowns. 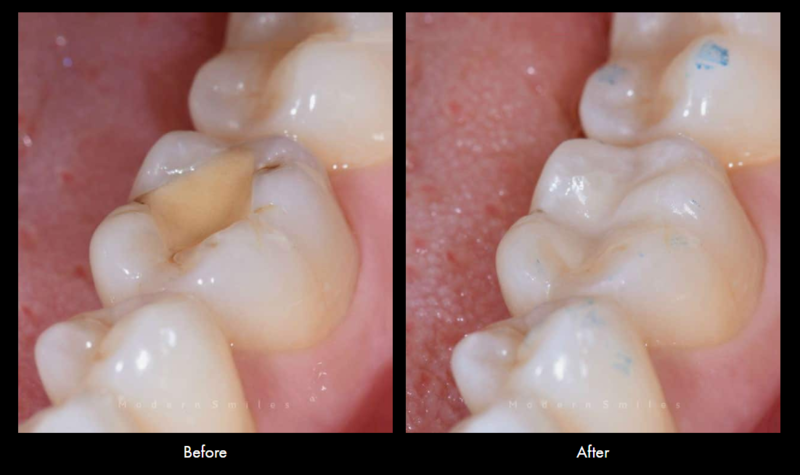 Discolored old crowns replaced with new all ceramic biomimetic crowns. 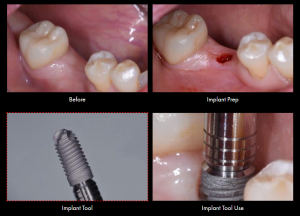 Replacing old flat composite fillling with naturally contoured and shaped restoration to match your tooth. Two natural porcelain veneers to change this smile. Direct filling for a conservative and beautiful restoration. 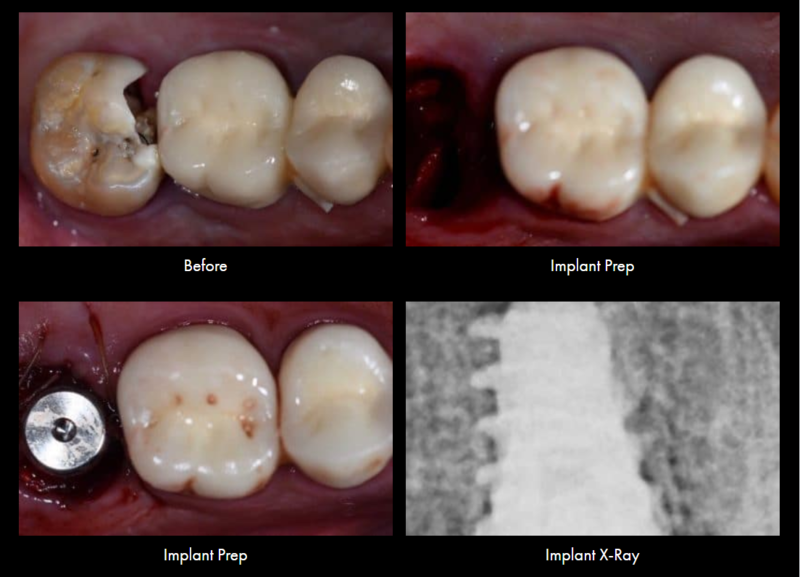 Same day immediate implant placement. No more waiting for months to get your implant after an extraction. Single implant placement with no scarring or stitches necessary. "Amazing! seriously- not that anyone ENJOYS going to the dentist, but these folks are as good as they get. very informative, super nice, and overly accommodating. love love love!" "They have the most friendly staff. They really take their time with you and engage you in meaningful conversation. Truly wonderful place and not your everyday dentist office."